The Yankees 1981 World Series defeat to the Dodgers was an almost tragic turning point for George Steinbrenner. He had spent loads of Yankee dollars to put together an offense that was driven by home runs only to see that offense sputter and fail in both the second half of the strike-induced split season and the last four games with Los Angeles. He then seemed to have let his anger over the strike and the pain of that Dodger defeat drive a series of player decisions that would keep the Yankees out of postseason play for the next fifteen years. No move symbolized Steinbrenner’s inept over-reaction more than the signing of Dave Collins. At the time, Collins was a singles-hitting, base-stealing outfielder who slap-swung his bat from both sides of the plate. He had hit .300 for the Reds in both 1979 and ’80 but what really captured the Boss’s attention was the 79 bases Collins stole during that 1980 season. Steinbrenner was convinced the guy would be a perfect lead-off man for the new small-ball offense he envisioned for his ball club so he blew him over with a three-year, two-and-a-half million dollar free agent offer that was probably twice as much and at least a year-more than any other team would have offered Collins. October 20th is also the birthday of “the Commerce Comet”, “the Voice of the Yankees” and this former Yankee reliever. 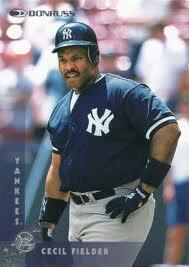 If you’re a Yankee fan who is at least twenty years old, you probably remember Cecil Fielder well. He was born on today’s date in 1963, in Los Angeles. The Yankees acquired the slugging first baseman from Detroit during the 1996 season in a move designed to get some right-handed power on their bench. Fielder filled that role perfectly, blasting 13 home runs and driving in 68 in just 98 games. When starting first baseman, Tino Martinez slumped in the AL playoffs and New York fell behind 2-0 in the ’96 World Series against the Braves, Joe Torre started Fielder at first in the DH-less games in Atlanta and benched Martinez. Cecil responded with an overall .391 average in that Series and because Tino ended up hitting just .091 against Atlanta, many Big Apple sports pundits predicted Fielder would see a lot more action at first base for New York, in ’97. That rumor gained even more traction during the off-season, when the Yankee front-office let it be known that they were considering offering the big guy a three-year contract extension. That’s when Fielder and his agent over-played their hand and started making some hefty demands involving dollars. The Yankees backed off and New York fans responded to Fielder’s whining by turning on the huge slugger when the 97 season got underway. Fielder’s Yankee fate was sealed when he broke his thumb that July while Martinez was simultaneously in the process of putting together the season of his life, hitting 44 homers and driving in 141 runs. The Yankees’ released Cecil following their playoff loss that year to the Indians. Since that time, published reports alleging Fielder had severe gambling problems certainly help explain why Fielder seemed to behave so greedily during that 1996 off-season negotiation. We also have since learned that Cecil’s look-alike son Prince, now a big league slugger in his own right, had pretty much disowned the elder Fielder years ago, disgusted with his Father’s gambling habits and resulting money problems. I read one article that claimed Cecil took half of Prince’s bonus money when his son signed with the Brewers. Too bad for the Fielders and too bad for Major League Baseball. After all, these two guys are the only father and son combination to both hit fifty home runs in a big league season. They should be doing commercials together. Cecil earned close to $50 million playing the game and Prince will probably quadruple that amount by the end of his own career. Ordinary fans struggling to pay their property taxes, health insurance premiums and grocery bills have a real difficult time comprehending how money ever gets to be a divisive issue with athletes who have so God darn much of it, especially when those athletes are father and son. In any event, the Yankees might not have won that 1996 World Championship without Cecil Fielder. I hope he gets his priorities and his problems straightened out and finds some peace in the years ahead. Fielder shares his September 21st birthday with another former big league star who got traded to the Yankees late in his career and who also had to do battle with a debilitating personal demon. This long-ago Yankee outfielder was also born on this date. George Steinbrenner loved the game of football and the toughness of football players. He also loved taking shots at reclamation projects. When the Yanks acquired former Red Sox starting third baseman, Butch Hobson from the Angels just before the ’82 season opened, “the Boss” probably was the happiest guy in the team’s front office. Born in Tuscaloosa, AL on August 17, 1951, I surmise that one of the reasons Hobson was forced to become as tough a guy as he did was because his parents named him Clell Lavern. It wasn’t too long I’m sure, before the nickname “Butch” took hold as Hobson became a legendary high school athlete in his home state. He ended up going to the University of Alabama and played football under the legendary Bear Bryant plus started for the Crimson Tide baseball team. On the gridiron, he was a starting safety and a backup quarterback but after three years of playing both sports, he gave up the pigskin his senior year to focus on baseball. The Red Sox selected him in the 8th round of the 1973 draft and after three and a half seasons of minor league ball and one cup-of-coffee look-see during the 1975 season, Hobson went to Boston for good in June of 1976. He eventually replaced Rico Petrocelli as the Red Sox’ starting third baseman, becoming a favorite of then new Boston skipper Don Zimmer. His breakout season came in 1977, when he smashed 30 home runs and 112 RBIs, while playing on joints that had been banged and bruised from an entire lifetime of football. 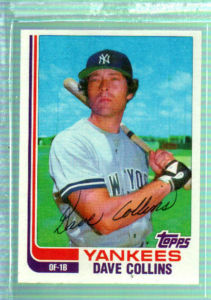 He slumped a bit in 1978, the year of Bucky Dent’s blast and the Red Sox’ infamous late-season collapse to the Yankees. He had one more good season in Boston in 1979 before injuries cut more deeply into his playing time in 1980. 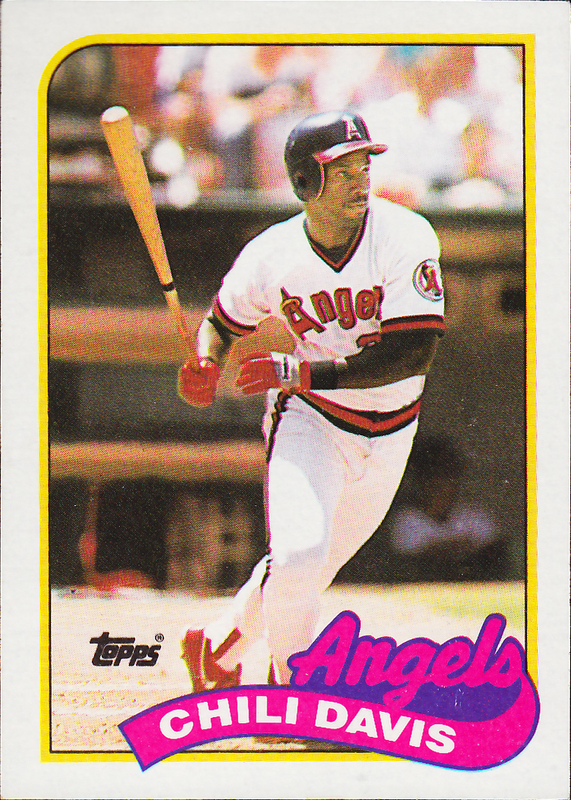 That was the same season Zimmer was let go by the Red Sox and in 1980, Hobson and shortstop Rick Burleson were traded to the Angels for outfielder Rick Miller, third baseman Carney Lansford and pitcher Mark Clear. His ’81 season in California was a nightmare. He hit just .235, was constantly playing hurt plus the players strike that year disrupted play. The following March, he became a Yankee. At the time, Graig Nettles, New York’s All Star third baseman was getting up there in age (37) and getting more and more on Steinbrenner’s nerves with his biting criticisms of the owner’s management style. Yankee fans back then just knew nothing would please old George more than being able to replace Nettles with Hobson as New York’s starter at the hot corner. That didn’t happen. Nettles cooperated by hitting just .237 that year with only 55 RBIs but Hobson hit a putrid .172 and his throwing shoulder was so damaged he didn’t see an inning of play at third base. His Major League playing career was over, but Hobson wasn’t ready to quit. He played three more full seasons for the Yankee Triple A Columbus Clipper farm club, he became a minor league manager in the Mets’ system and then the Red Sox. In October of 1991, Boston hired him to replace Joe Morgan as the parent club’s skipper. He would last three losing seasons as Red Sox field boss. According to Don Zimmer, his old skipper and his Red Sox bench coach during the 1992 season, Hobson’s drinking during his time as Boston manager had gotten out of hand. As everyone would later find out, alcohol wasn’t Butch’s only demon. The Red Sox fired him after the 1994 season, replacing him with Kevin Kennedy. It was during the 1996 season, while managing for the Phillies Scranton-Wilkes Barre team that he was arrested for possession of cocaine. Hobson later admitted he had been a user of that drug. Hobson is still managing in the independent Atlantic League for the Lancaster Barnstormers. He turns 62 years old today. 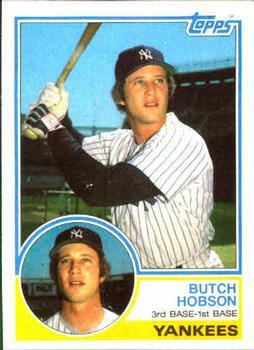 Hobson shares his birthday with this great Yankee catcher and this one-time reliever. The first and only time I attended a game at Fenway Park was a July 17, 1996 night game between the Red Sox and the Yankees. As I settled into the most incredibly uncomfortable seat I had ever been in, the Yankees were surprisingly running away with the AL East Pennant, holding a nine game lead at the time over the Orioles and a full fifteen-game margin over third place Boston. Unfortunately, Kenny Rogers was on the mound for New York and he was facing Boston’s Tom Flash Gordon, who was in his last year as a starter. As was often the case when he wore the pinstripes, Rogers was not very effective that evening. He was knocked out in the fifth inning after loading the bases, with Boston leading 3-2. Joe Torre brought in Jim Wickman and the right-hander promptly gave up a bases-clearing double. When Wickman put two more Red Sox on base in the sixth, Torre replaced him with big Jeff Nelson. The first batter Nelson faced was Jose Canseco, who had began his big league career as one of the Oakland A “Bash Brothers” with an end-of-the-season call-up in September of 1985. The following year he hit 33 home runs and was named AL Rookie of the Year. Two seasons later he led the league with 42 home runs and 124 RBIs plus he hit .307 and stole 40 bases becoming the first member ever of MLB’s 40-40 club. He also won the AL MVP that year. During those early years of his career, he was considered one of baseball’s greatest rising stars but as we later learned, that rise was being artificially nourished with human rocket fuel. Canseco’s string of injuries and DL stays began in 1989. By ’92, the A’s decided he was expendable and they traded him to Texas for Jeff Russell, Ruben Sierra, Mike Witt and money. He spent large portions of his two plus years with the Rangers on the DL. Boston then signed him as a free agent after the 1995 season and again he couldn’t seem to stay healthy. That’s what confused me about Canseco’s later admission of steroid use. I always thought steroids helped athletes not just train harder but also overcome injuries quicker. Jose must have been getting some bad drugs, no? In any event, Canseco was not on the DL that night I visited Fenway and he had worked the count to 3-2 against the curve-balling Nelson. I will never forget the results of the next pitch. Canseco hit it on a line toward the green monster. I swear, as it passed my eye level, I could hear the ball swoosh. It was still rising when it went over the Green Monster. It remains to this day the hardest hit baseball I have ever seen in my lifetime. To put it in perspective, think back to all those famous bombs Mark McGuire hit during the All Star Home Run Derby contest held at Fenway in 1999. Canseco’s cannon shot was hit harder and travelled further than every one of them. Canseco’s three run blast made the score 9-2 and half of the Fenway crowd got up and left, thinking the game was over. We were able to move to much more comfortable seats behind home plate and as soon as we did the Yankees mounted a comeback. In fact, New York scored nine runs over the last three innings to take the lead. But John Wetteland failed to hold it and Boston ended up with a 12-11 victory in what turned out to be one of the most exciting baseball games I’ve ever seen live. That home run turned out to be Canseco’s last one of the 1996 season and his final one as a Red Sox. A few weeks later he was again on the DL. The final five years of his career were spent playing for five different teams. They included the Yankees, in 2000. He had been placed on waivers by Tampa Bay that year and New York had picked him up. He appeared in 37 games as a Yankee and hit six of his seventeen-year career total of 462 home runs while wearing the pinstripes. He has since become one of the most controversial ex-big-leaguers of all time. Update: The above post was originally written in 2010. It has become pretty clear since Canseco’s playing days ended, that his life has turned into a publicity hunting freak show. His long baseball career has become pretty much an afterthought in the memory of most fans who when they think of Jose now, see him testifying in front of that congressional committee hearing in 2005. But like it or not, Canseco changed the course of baseball history. As baseball fans around the world marveled at the almost superhuman achievements of modern day ballplayers like McGuire and Bonds, Jose pulled back the curtain on their games and showed us all that a critical component of their magic came from a needle or from an ingredient in a rubbing cream. Jim Bouton did it with amazing skill forty years earlier and Canseco’s story-telling paled by comparison, but both men simply told the truth about how those who played the game lived their lives while doing it. 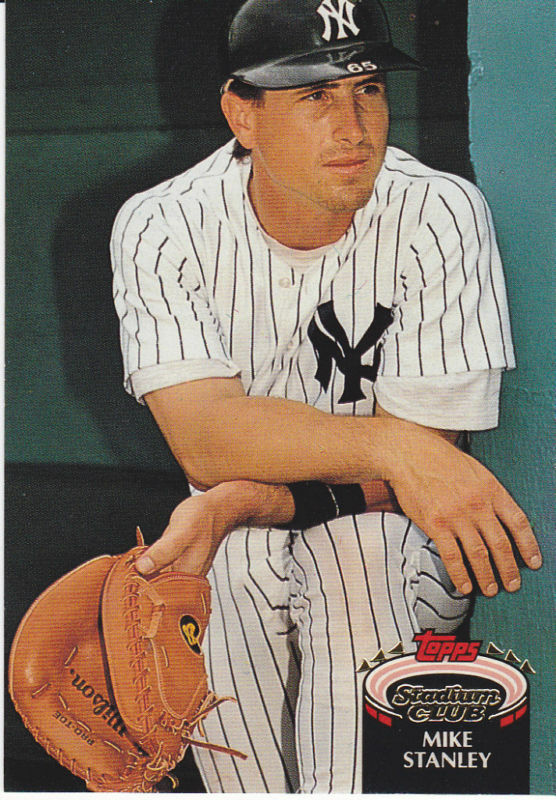 Canseco shares his July 2nd birthday with this former Yankee reliever. One of the key reasons the Yankees were not successful reaching the postseason for a dozen seasons after 1981 was their lack of a strong all-around catcher during that time span. From Dickey-to-Berra-to Howard-to-Munson, those Yankee teams that regularly reached fall ball had catchers who could hit well, field well, and lead their pitching staffs. When the Yankees signed Mike Stanley as a free agent before the 1992 season, I thought we had the makings of the next great Yankee receiver. He did well enough offensively in pinstripes but the Yankee front-office ended up replacing him with a better defensive catcher. Stanley started his Yankee career as a backup for Matt Nokes. He took over as starter in 1993 and had a great offensive season, hitting 26 home runs, driving in 84 and averaging .305. 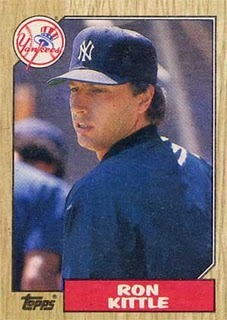 He continued to hit well in 1994 as the Yankees became the best team in the League under Buck Showalter. When the disastrous strike ended that season, it also marked the peaking of the Yankee careers of both Showalter and Stanley. Even though New York made the postseason in 1995, Stanley’s batting average took a 30-point dip and after the Yankees got knocked out of the playoffs by the Mariners in the first round, Yankee fans could feel the Steinbrenner-induced winds of change blowing. Showalter was fired and replaced by Joe Torre. They let Mattingly retire and Stanley was not re-signed. The Yankees traded for Tino Martinez and Joe Girardi instead. Update: The above post was originally written in 2009. Stanley did rejoin the Yankees during the latter half of the 1997 season. At the time, Yankee GM Bob Watson had been looking for a right-handed bat to replace the one lost when Cecil Fielder broke his thumb just before the All Star break that year. He traded coveted Yankee pitching prospect Tony Armas Jr to the Red Sox to bring Stanley’s opposite field power back for a second go-round in the Bronx. At the time the deal was made, Watson told the press he intended to re-sign the returning player to a longer term deal, but even though Stanley hit .287 in the 28 games he played down the stretch of that ’97 regular season and a .388 on-base-percentage, the Yankees let him walk when the year ended. *Gehrig went on to hit a fourth home run in the 1932 game. Stanley shares his June 25th birthday with this former Yankee long reliever.